Sure, the scientific method is all about learning but it’s definitely not boring. In fact, it can be loads of fun. Don’t believe us? 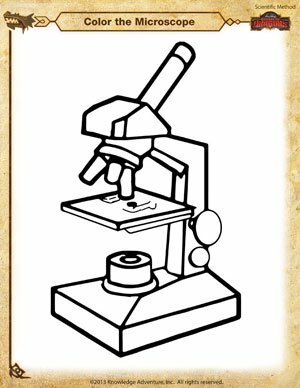 Check out this cool microscope here and color it in with some interesting colors. And when you’re through this free printable scientific method worksheet for kids, don’t forget to browse through these interesting scientific method questions only on School of Dragons.